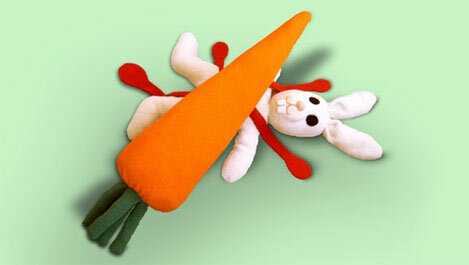 Check out Patricia Waller's brilliant crochet artwork. Move over Grandma, knitting just hit the big time! Sonex Ltd. is the brainchild of businessman and kit designer John Monnett and Mechanical Engineer Pete Buck. Monnett's industry credentials are legendary -- he was inducted into the Experimental Aircraft Association's Homebuilders Hall of Fame in 2001. Buck, on the other hand, draws up the plans for Sonex designs "in his spare time." Scared yet? Don't be. Buck is a lead Engineer at Lockheed Martin's famed Skunkworks. He's worked on the F-117 Stealth Fighter and X-33, among others. The Sonex was introduced as a plans-built aircraft in 1998. It met with immediate success because of its simple, rugged design and affordability (yes, I'm a big fan of aluminum aircraft. They're incredibly easy to build when compared to the challenges of carbon composites or tricky doped fabric). Builders were soon clamoring for a kit, and Sonex obliged with a $12,995 quick-build kit that features laser-cut skins, along with pre-formed ribs and welded and formed aluminum components. It's possible to build a decently equipped Sonex for around $25,000, and there are currently 108 flying around the world. More pix and info after the jump. Here's a link to a nifty look back at some popular home console controllers from the (not so distant) past. 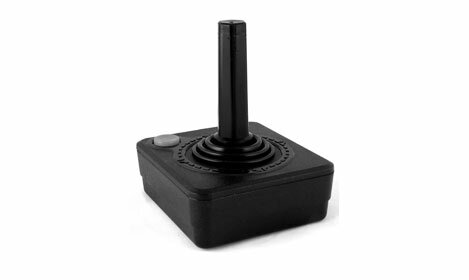 I'm still partial to the ominous creaking sound the original Atari 2600 joystick makes when shoved around just a bit to hard, perhaps because I'm a 107 year-old Luddite. The author disses the Atari stick, but I suspect the only ones he's ever used were 25 years past their best-before date. Also be warned that the list only includes four control pads/sticks that pre-date the 1990s. There's no mention of the Magnavox Odyssey's dual-knob design, the Pong consoles from the Seventies, the Intellivision, or even the fantastic Colecovision. Geez. Almost like it was written by someone under the age of 65. Now where did I leave my walker? For more about video games, download a free chapter called The Magic of Videogaming from my book. Crabfu Steam Toys features a creative collection of steam-powered walkers, tanks, centipedes, crabs and other hard-to-imagine mechanical devices. It's almost as if someone's Victorian era tech dreams sprang to life. My fave is the Live Steam Walker, which looks like a 19th Century attempt at a Star Wars assult vehicle. Propulsion is provided by a Wilesco D14 steam engine, and the legs are crafted from Meccano odds and ends, along with what appear to be a few custom bits. 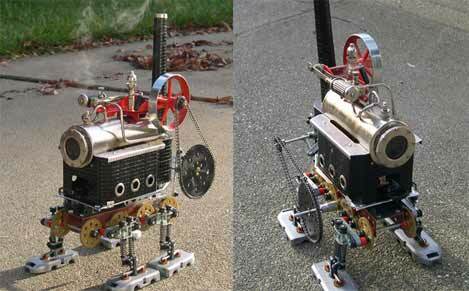 Some of these creations are radio controlled -- too cool for words. Sooner or later you're going to be forced to give someone a respectable gift as a housewarming present. Rather than aimlessly wandering the aisles of your local IKEA, I suggest something from Resource Revival. Graham Bergh sums up the concept quite succinctly: "Our mission is to create innovative products from recycled materials, to provide meaningful, living wage jobs, and to have fun. We envision a sustainable future where commerce flourishes in a world powered by renewable energy, and where consumers are conscious of the origin of the products they buy." 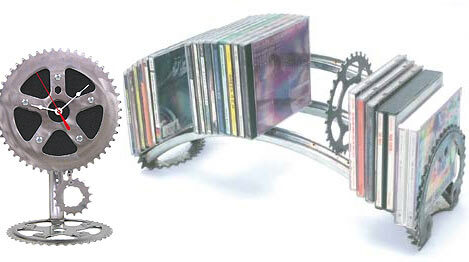 Their site is full of stuff made from used bicycle chains, rims, and cogs, along with several brilliant clock designs fashioned from recycled chain-rings and rubber. Definitely a better gift than a mass produced vase. I gave my mother a copy of Dan Brown's The Da Vinci Code several years ago. Being a cheapskate, I mustered up the courage to borrow it back from her this Christmas and spent several sleepless nights reading. My wife got even with me a few evenings later by doing exactly the same thing. 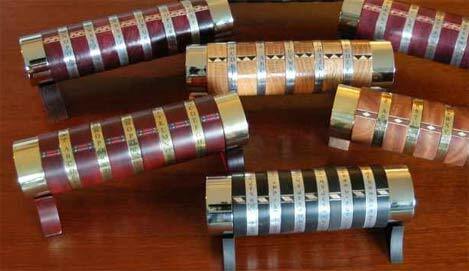 Well, it looks like someone is now making custom versions of the Cryptex puzzle box that guarded ancient secrets in the book. Each handmade puzzle box features from three to seven engraved code rings made from wood, stone, and metal. To open the box, you need to know the code - perfect to ensure your enemies can't bribe a messenger and make off with vital communications. They're priced anywhere from $375 to $1065, so you'll need to be a huge Da Vinci code fan (or have earth-shattering secrets that can only be hidden in beautiful boxes) to consider one. I loved the Jetsons. Not because they had nifty flying cars and robots, but because they build needle-like houses in the clouds. It looks like the gang at UK design firm Sybarite were paying attention, too. They've proposed the development of space-age modular tree houses that loom above the treeline on massive metal stalks. They claim that "The prefabricated design can be installed on site within two weeks, is extremely lightweight, uses many recycled products, is part self-sustainable and low on maintenance." 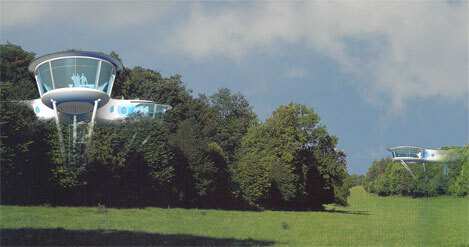 Their site shows a Utopian image of tree houses peeking out from the branches of a pristine and road-less forest. I pity the poor family who move in only to discover they have to lug furniture, groceries, and young children a half-mile each way through boggy terrain. And let's not mention the lawsuits from the relatives of window cleaners who plunge to their deaths every couple of months. 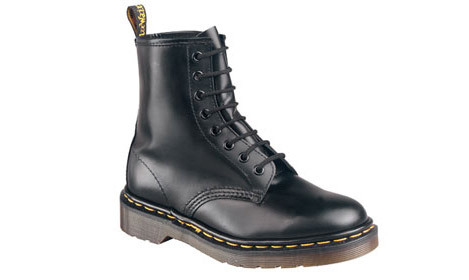 Still, these would coordinate well with my Moller Skycar. [Check out my Carfree Cities post for a glimpse of much more practical living spaces]. 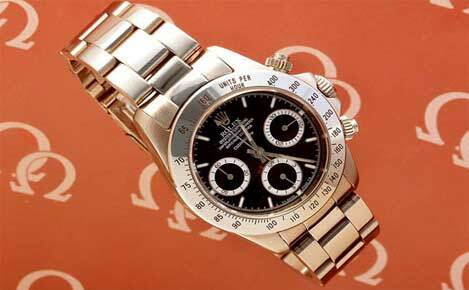 Replica watches: Not that I condone knock-offs, but here's a guide to buying watch replicas. Analog Haven: Hundreds of analog synths and doohickies for sale under one roof. Smartuki: Part motorcycle, part Smart car. Goes like a rocket. Classic Rendevous: Sounds like a dating service, but it's all about lightweight vintage bicycles. Portable USB software: Great software that fits on a USB flash stick. Nothing retro here. Free Clavia Nord Modular G2 software: A free demo version of their very expensive G2 synth. LookieLookie's watch links: Nice links, psychedelic page. Game Over: Very cool retro videogaming store tucked away on a side street in Amsterdam. 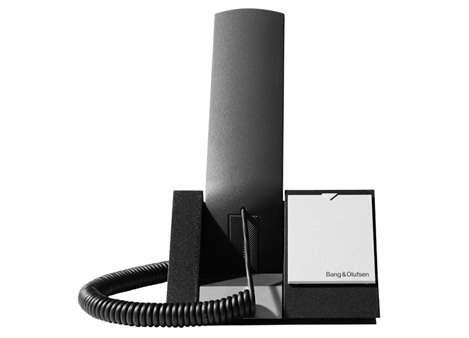 Bang and Olufsen is a firm that has long made audiophile components with a very strong sense of design. So driven was their zeal toward audio and design purity, that it somehow escaped me that they would ever introduce a phone in the 80's. The stylishness didn't surprise me as much as their claims that it had better fidelity. Fidelity? On a 4K phone line? I didn't think that I'd ever experience the phone since the B&O mark carries stratospheric prices, but that changed when I got one of these phones (that today can still command around $100) for $2 at a thrift store. The model I found was the Beocom 1401, pictured here. 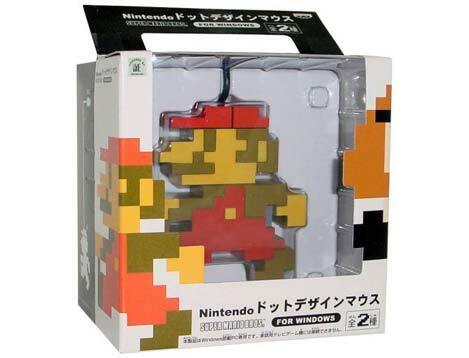 Two nifty Nintendo toys for your viewing pleasure. First up is the Iwod G10. This little device plays mp4 video (including DivX and Xvid), mp3 tunes, and includes a Nintendo NES emulator, a nice bright 882 x 228 display, along with a 10 hour battery. Not sure if the user interface is available in Engrish. The price is a ridiculously high 1180 Yuan ($146) -- enough to buy a new Game Boy Micro/Advance and a handful of games. Pity it doesn't have a built-in phone and camera. Nintendo Thing Number Two is the announcement of a slimmer, lighter, sexier DS handheld. The Nintendo marketing team worked overtime and decided to name it "Nintendo DS Lite." 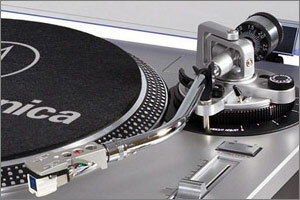 The Lite weighs a 218g and measures 133mm x 73.9mm x 21.5mm while sporting a bland iPod-like color scheme. Let's hope the special edition models with flames, robots, Luigi and goggle-eyed Anime characters roll out soon. This will be the last Nintendo post for a while, I promise. 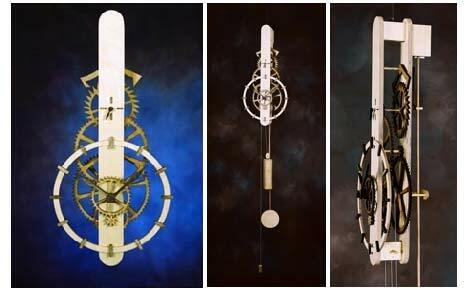 Jeff Schierenbeck makes two $149 wooden gear clock kits (this is the Ascent). The punch out parts are made entirely from 5-ply Baltic Birch plywood that is void-free to ensure proper mass and strength. The mechanism accuracy varies depending upon humidity and temperature, but they're typically accurate to within a minute a day. I suspect that getting one of these to work just-so is a fiddly business, but the manufacturer claims you can complete the kit in within a day. The components are pre-cut, but you'll have to stain them to taste and you'll need to have a screwdriver, hammer, wood glue, and sandpaper on hand. Methinks this is a great opportunity to learn about classical clockmaking from the inside out. We've been on a Nintendo roll around here for several weeks. As a sign that 8-bit gaming is beginning to pervade everything I think or do, let me introduce you to the $14.95 Mario USB mouse. This 9cm (3.5") wide hunk of pixellated plastic wins the award for the least ergonomically designed computer accessory that has ever caused me to utter the phrase "I have to have it." Mario includes two buttons, disguised as his cap. Be sure you're health premiums are up to date - I hear that carpal tunnel syndrome treatment is expensive. Bohus here: Due to poor design, most original NES units have pretty flakey cartridge ports. Nintendo later made a more robust toploading unit, but it only has RF output and goes for huge bucks on Ebay. Yeah, you could emulate any of these games on a PC, but sometimes you really want to bang the iron of the original console and you need to play games on your big TV, right? Enter this little unit. For around $30 shipped you can pick up a "Yobo FC Game Console" in any of three snappy color combos. 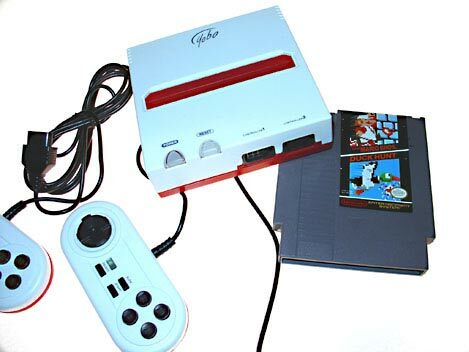 It's about as big as two North American NES games stacked up, is a reliable toploader, and has clean composite video output. The heart of the YOBO is a Nintendo On a Chip like a lot of pirate consoles, but this unit is perfectly legal. The YOBO doesn't include any illicit multicarts, it just plays your classic cartridges, and with an adapter you can play Famicom carts from Japan. The best part is that you can replace the controllers with original NES hardware. The connectors are the same, so you can use you classic Zapper gun, or any of the myriad controllers that came out for the old boy back then - probably even that darned robot. NAMM SCHMAMM - Where are the Chord Organs? NAMM is all very nice and all with their sophisticated electronic musical hoo-has, but where is all the love for the ratty old electric musical hoo-has? [I think Bohus is suffering NAMM technology envy. -ed.] 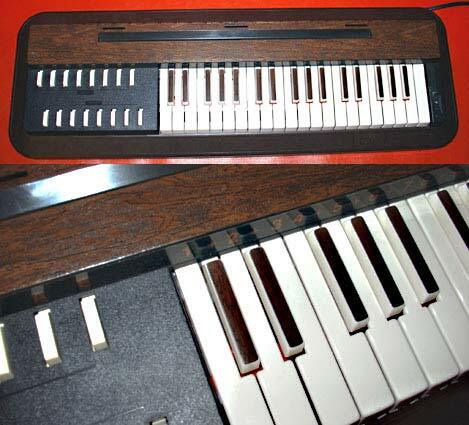 The Chord (or sometimes "air") Organ is a simple organ that implements one simple electrical part - a fan. The organ's innards consist of plastic reeds (metal in the more deluxe models), and the fan pushes air through them yielding a sound like an Accordion or a Melodica. Chord Organs are terribly common because they've always been terribly cheap, the thrift stores are littered with them - at least around Chicago. Certain models get money on Ebay because they are miniature bakelite reproductions of big theater organs (attracting both movie collector and toy collectors), or because they are the classier models made of wood and employ real craftsmanship.